As voice remotes become the new norm, several front runners are leading the pack. Apple Siri Remote, Amazon Fire Remote, and the Roku Voice Remote are all breaking new ground in natural language voice search of their respective media boxes. None of this should surprise any of us. These are the rockstars of the streaming media world. However “the establishment” of Pay TV have taken notice. Both Xfinity and Dish Network have launched voice remotes for the premium end of their set top boxes. 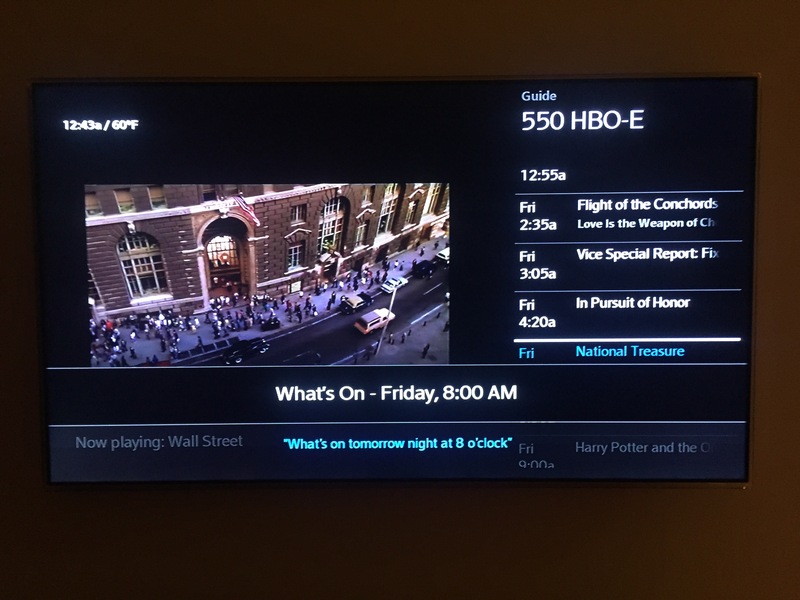 I currently pay Comcast a monthly lump of money to provide TV to our household via their X1 platform. In terms of blending broadcast TV and on demadn entertainment, the X1 has exceded my expectations. More on that in another post. So when I heard Xfinity created a Voice Remote to go with my X1 I was intrigued. Current X1 customers only need to call Comcast Xfinity to send them a free remote. Knowing Comcast, you never know what their story will be when you call, so if they don’t offer it for free, including free shipping, just tell them you know customers don’t have to pay and to send you one. I have received two for free so far, one for the living room, and one for the bedroom (though it doesn’t work in the bedroom I found out, more below). When the remote arrives, you will likely do a double take. Did an Apple remote just arrive? The white box, the close up product images on all sides, even the “Designed in …” text on the back of the box remind us of the influence Apple has had on traditional media companies. I don’t know whether to praise Comcast or ridicule them for copying Apple. Maybe a little of both. 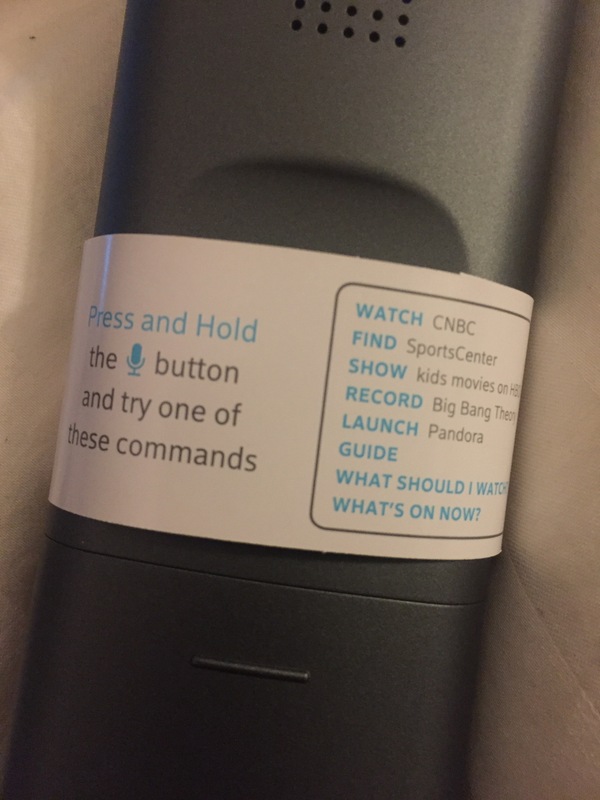 As the remote sleeve advertises, you simply press and hold the microphone button and try one of the many supported commands. You really can just talk to this remote. The number of natural commands and requests the remote support is pretty amazing. Since the power of the remote rests in the cloud software behind the X1 Platform, there’s no real master list because the list of supported commands and questions is continually growing. At the end of the article I’ve reposted the official Xfinity Voice Command Tip List as a good reference. Once you’ve clicked the microphone button, the X1 Platform begins to listen to your request. My kids taught me this one, you can search for movies by famous movie quotes. 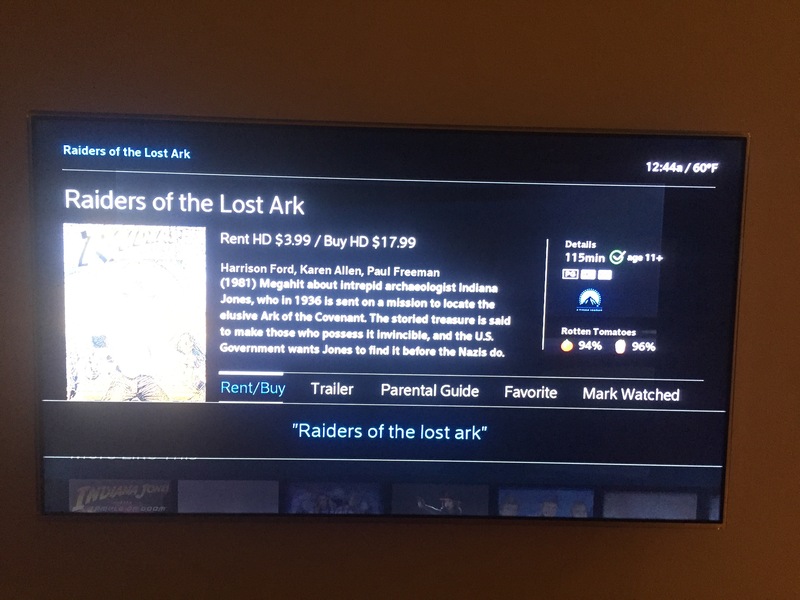 You can of course search for movies by name, which is soooo much better than letter by letter text input that this alone makes the remote worth it. You can also pull up the guide instantly, and focus the request on a particular time and/or channel of the guide. However, it doesn’t get everything right. If you look above, you’ll see I actually asked what is on tomorrow “night”, but the system gave me results for tomorrow morning. Proving that as intelligent as the system is, it still has more to learn. That said, it’s still easier to narrow your request than it is to type all this stuff out. So the remote is still a big win in our household. 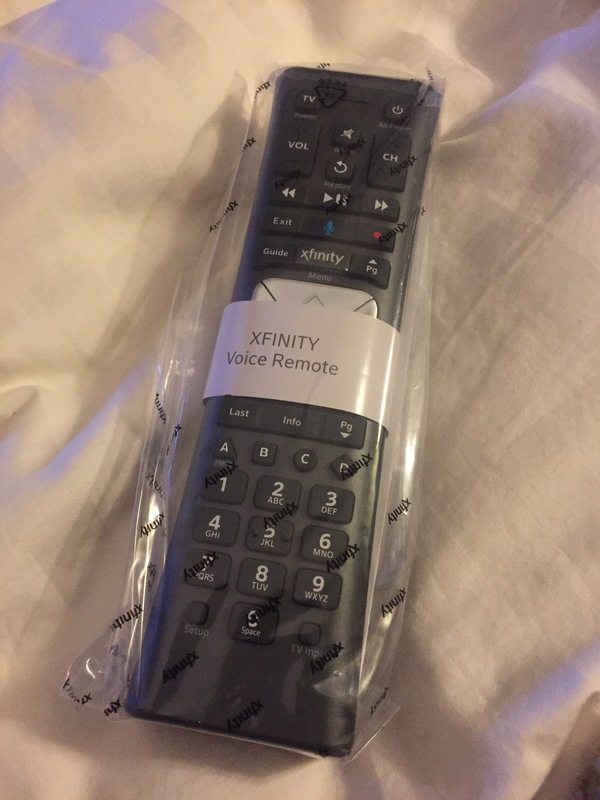 Before I wrap up, it’s important to note that the Xfinity Voice Remote only works with main Xfinity set top box (AnyRoom DVR) in the living room. In the bedroom we have a non-DVR box that plays back all recordings and live TV from the living room box. 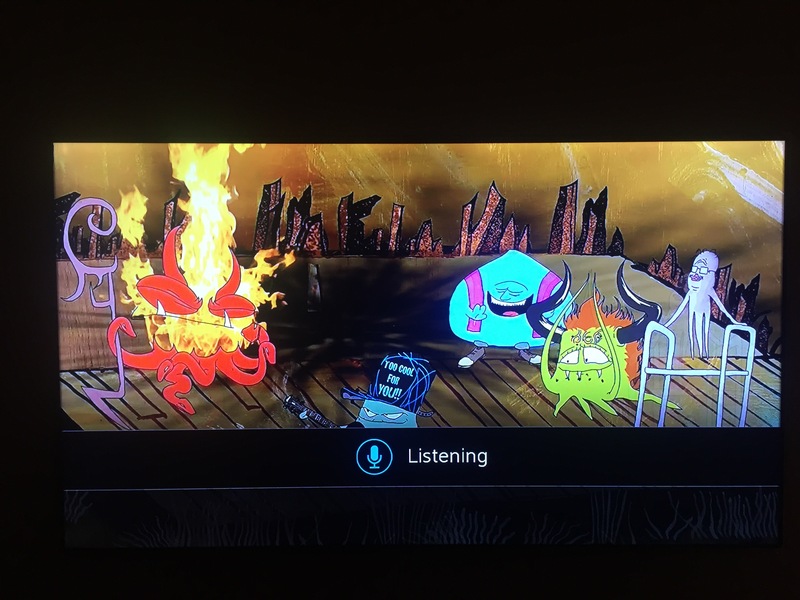 This is a quite typical scenario and what was recommended by Xfinity. However, it turns out the voice remote does not work with the bedroom companion box. Lastly, there’s a lot more to dig into on the software side, and there’s a real opportunity to do a side by side comparison with some of the other voice remotes mentioned at hte top of the article. So check back in the future for more coverage. For your reference, below is a helpful list found on the Xfinity Voice Remote’s support page. 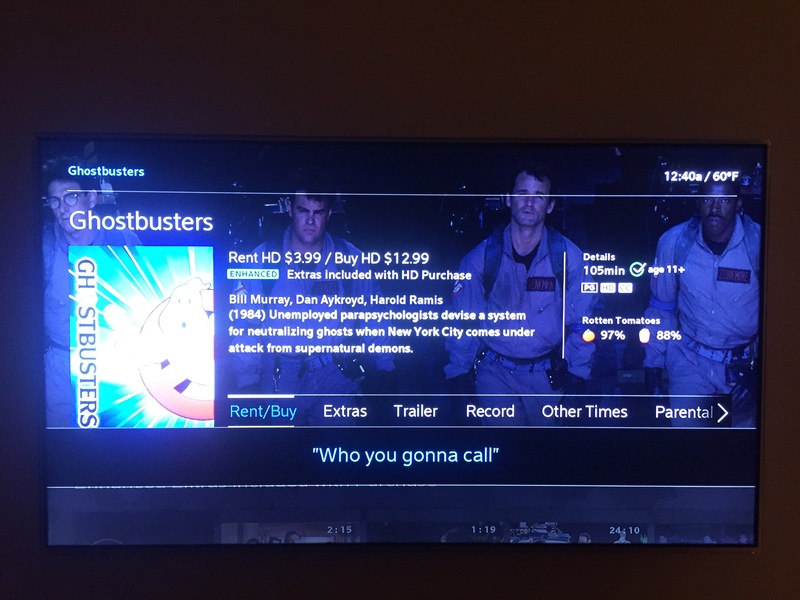 Comcast again blows a good product. Two important things missing are: 1. Voice Remote should work with DVR subscription and it doesn’t AFAIK. 2. Keys are not backlit. Give me a break. Backlit keys have been out for decades and the population is aging. I’m 63 and need lighting. Vanilla, rehashed information found on 500 thousand other websites. I really was hoping for a fresh, authentic review. Barry, the article is from July of last year. It was fresh in its time. Thanks for visiting. How do I obtain a VOICE REMOTE from Comcast.